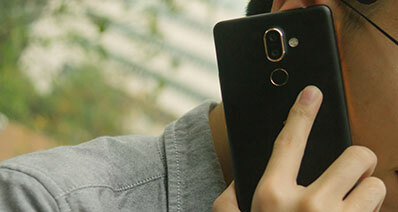 Contacts are considered to be one of the most crucial parts of Android phone. There are many contact manager applications which can be used to get the work done. These contact manager apps are designed in such a manner that they fulfill all the contact related needs of the users. There are many such contact manager app software programs which make sure that the users never get into hassle of manually managing the contacts. 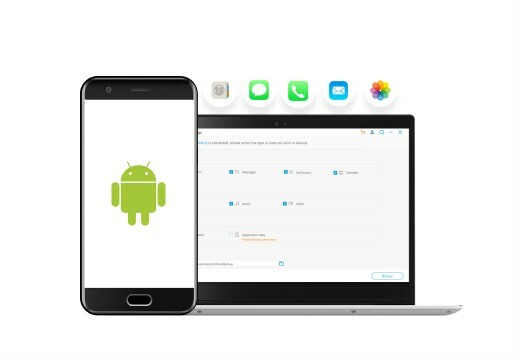 Note: If you mistakenly deleted contacts on Android without backup, you can follow the solutions to recover deleted contacts on Android on your Windows or Mac computer. 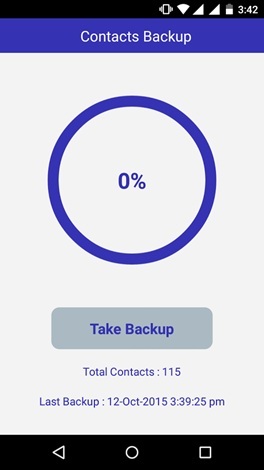 iSkysoft Toolbox - Backup&Restore (Android) is considered to be the best one to backup data on Samsung Galaxy S7/S7 Edge, S8/S8 Plus, S9/S9 Plus. It is the highly recommended software with the help of which, you can 1 click backup data in your device. And you're allowed to restore specific files from backups to your device. Below is the detailed features of this powerful program. The most beneficial feature of this tool is that it can back up the kind of data which other methods can't, for example, your messages, contacts, Whatsapp messages, app data, audio, video and even call history. Moreover, there is no risk of replacement of new files over existing files. It not only backup data on Samsung S7/S8/S9, it is able to support all of the Android devices. You can also preview data before restoring. It is user friendly and allows you to backup and restore data selectively. The app has a dialer, caller ID and spam block are some of the features which this phone book app presents to its users. The best part of this phone book app is that it also backs up the contacts for good. 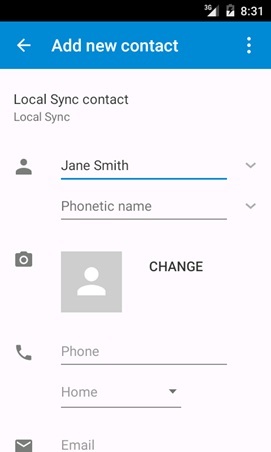 This contact manager for Android can sync the information which means a lot to the users. At least 5 Gmail or iCloud accounts can be synced and the info can be saved. All the contacts are placed in one list for ease. The default items which can be enjoyed with this contact manager for Android are caller ID, spam block, dialer, call recorder and ID tracker. It can be regarded as the best contact manager that has taken the concept of contact saving to the next level. It is also one of the best contact manager apps which are regularly featured in renowned newspapers. 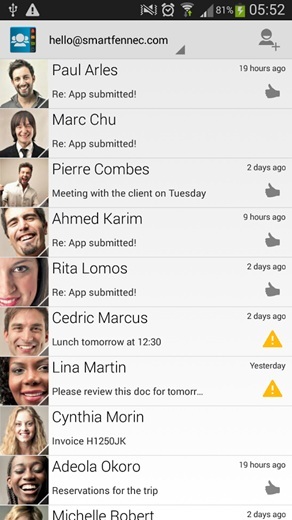 The contact management has never been as easy as it is with this application. 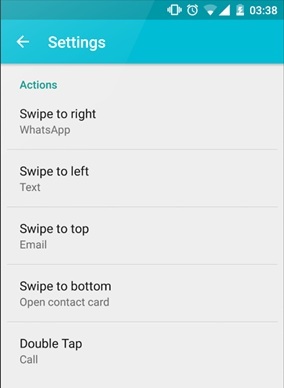 This Android contact app is embedded with inbox for SMS management. 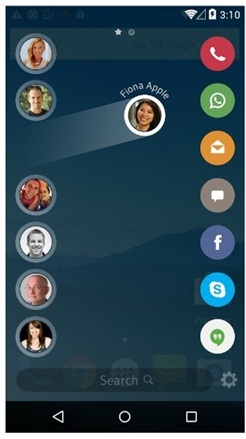 This is undoubtedly the best Android contact app that has been launched by the developers of the Android system. 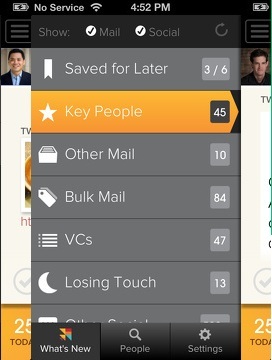 In a single contact this app can add emails and can relevant info with ease to personalize your directory. This is the best and the most advanced Android contact app. The best part is that it has been developed by former Microsoft and LinkedIn employees. This app completely secures the safety and security of users and never stores any info. The app ensures that the contacts are saved using the cloud servers. 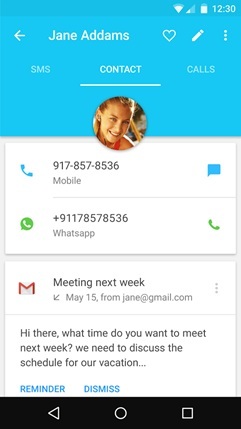 This Android contact app once installed can save your contacts for life. You don’t need any substandard backup managers as this app is enough for all the tasks. 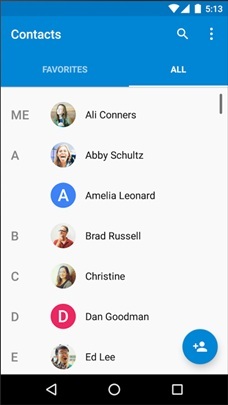 It can be regarded as the best contacts app for Android as it can move contacts to different accounts to keep your Android phone up to date. The app has an intuitive interface which is easy to use. It also removes duplicate contacts with ease. 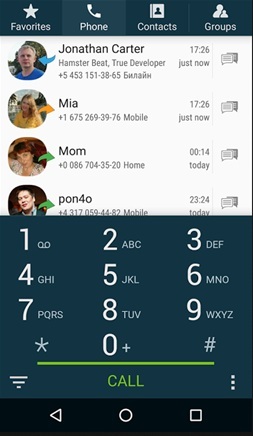 The home screen of your mobile phone is used by this app to place all the contacts in a single place and this is easily accessible. 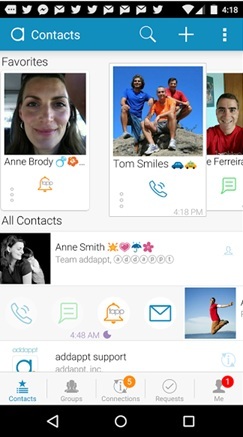 It completely revamps your contacts and hence regarded as the best contacts app for Android. 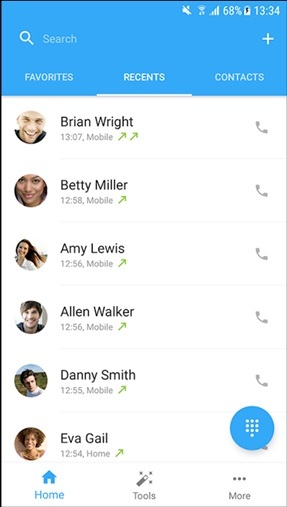 The T9 dialer has been embedded and it has several features when it comes to this app. It supports multiple languages, fast search your call logs and information and a large theme support to ensure that you always get your contacts in the way you want. The only thing which this app lacks is the dialer. 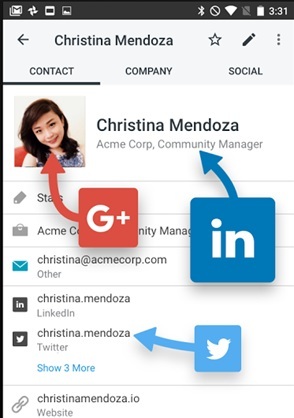 The true contacts add and sync all your contacts from all platforms. It is done so that you never get into hassle of finding. It is a complete contact management app. 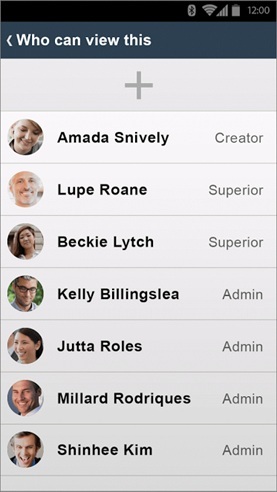 The user can manage the contacts in blocks which are then named as per user’s dialing patterns. The app keeps the data safe and secures phone contacts so that they can be restored any time. 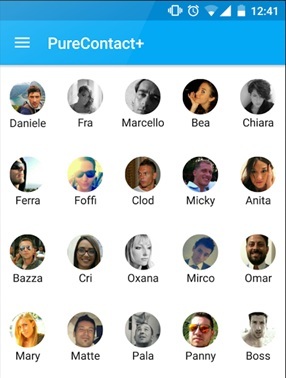 Full contact history and how frequently you have contacted a person are some of the features which are embedded in this app. Call waiting and forwarding are the miscellaneous features which you can enjoy if this app is installed. With number of gestures and the state of the art contact management this app allows the users t overcome the issues which other contact management presents. Once installed it accesses all the contacts to get the best view to the users. The app is available in 15 different languages and has more languages have been added to support different nationalities. 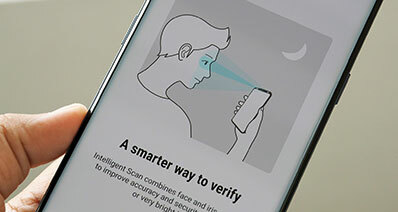 The contacts can be filtered using job description and frequently dialed contacts. 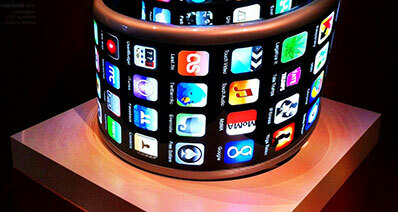 The app has been rated high all because of intuitive interface and ways to use it which are diverse. 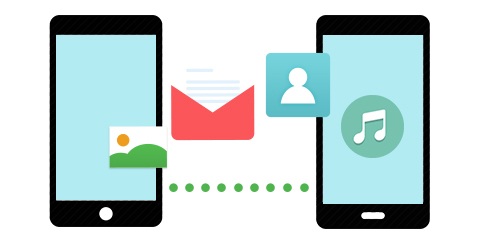 How to Backup Contacts to Google/Gmail from Android? [Guide] How to Backup Samsung Galaxy S9/S8/S7/S6/S5 via 6 Different Ways?